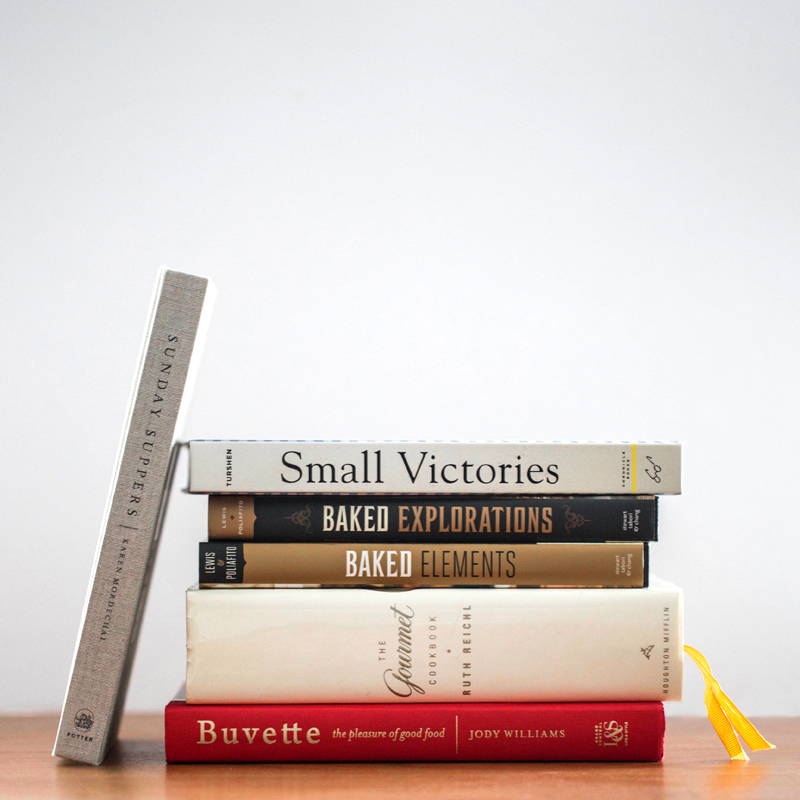 Even with all the amazing recipes available online (and they are endless), if I had to choose, I prefer cookbooks. 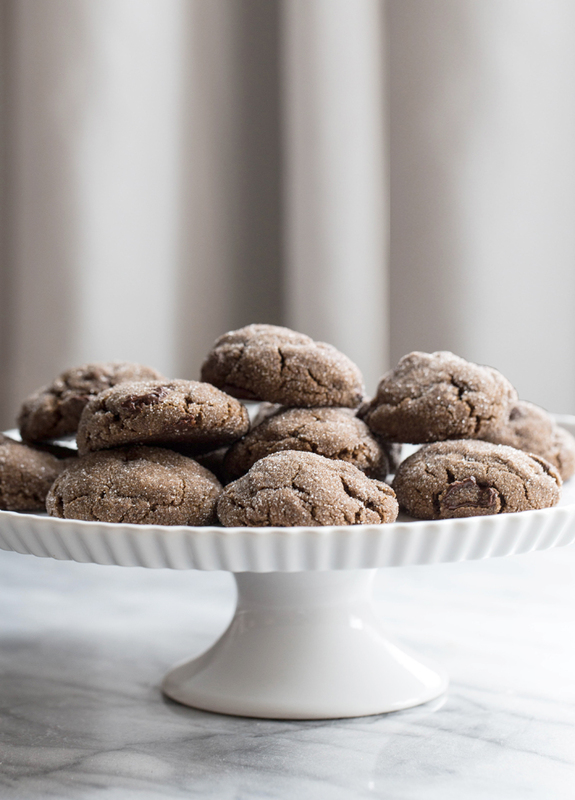 Turning to a cookbook you know and love and have cooked from is like getting advice from your most capable and trustworthy friend; the best ones reveal a personality and ethos that you just don't get from googling "best chocolate chip cookie." Reading a good cookbook reminds me of listening to a whole album -- it gives you a more complete statement of what the writer is trying to say. Though I certainly do search for recipes online often, I love my (oversized) collection of cookbooks, and often flip through favorites. Here I wanted to share some of those favorites that I've had and cooked from for years, and to which I seem to always return. This was one of my first cookbooks, and was given to me by my cousins Alec and Rachel when I was just out of college and had my first apartment. It's one I still come back to again and again because everything in it is wonderful and trustworthy, written from years of Gourmet Magazine's experience and testing. It's endlessly useful, a great reference book for whatever you want to make, and not too complicated to be a great everyday cookbook. I'm shocked and saddened that it's not still in print, but used copies seem to be pretty readily available online. I love this cookbook for many reasons, not least because it's so beautiful, both on the shelf and to flip through. It's inspirational and aspirational but also totally doable and delicious. Every recipe and ingredient list seems so simple, and that makes the deliciousness of the final product so much more surprising. This beautiful cookbook from Jody Williams is the perfect dinner party cookbook to me. The recipes are simple and elegant, just like her restaurants, and it's full of ideas that are more than the sums of their parts. Side note: if you ever have a chance to eat at her other New York restaurant, Via Carota, do -- it's one of my all-time favorites. Julia Turshen's beautiful cookbook represents such a great version of what home cooking can be. It's a wonderful book for new and/or insecure home cooks because it gives you a "small victory" with each recipe, a sort of aha moment that will really help you learn to cook and grow in confidence and cooking skills. But it's also really great if you're not as new to cooking -- Julia has so much cooking wisdom that you will most definitely learn from her expertise and her clear and wonderful recipes. It's a definite keeper. Ok, so this is sort of cheating because it's a collection of cookbooks rather than a single book, but I couldn't pick a favorite; they're all so good. They come from the owners of the popular Brooklyn bakery, and are a great resource for cookies, bars, and especially celebration cakes. These have some of my favorite, go-to baking recipes, like the sweet and salty brownies that I have made many, many times. The recipes are super solid and well-tested, with usually just enough of a creative twist to make them interesting.